About a year ago, I received an unexpected email from a film producer named Eric Merola asking me if I would appear in his upcoming movie about Stanislaw Burzynski, MD, PhD. Burzynski is controversial, to put it mildly. Since the founding of the Burzynski Clinic in 1977, he has claimed near-miraculous results treating patients with advanced malignancies, particularly deadly brain cancers like glioblastomas. Merola, who had previously released a film in 2010 praising Burzynski as a scientist with a cure for many cancers who is persecuted by the authorities, explained that he wanted a critic of Burzynski in his new movie. Given Merola’s history of deceptive filmmaking, I politely declined. harassing patients with terminal cancer. have been an admirable trait—if only Burzynski had found a worthy cause to serve. Unfortunately, the cause he found was antineoplastons. delights in recounting, “with only $20” in his pocket. researcher, securing an NIH grant in 1974 (Smith 1992, Burzynski 2012) and publishing several peer-reviewed papers. that question requires a discussion of ANPs. against brain tumors (Chang et al. 1999). from colorectal cancer. Indeed, Dr. Tsuda appeared in the most recent Burzynski documentary touting impressive results from this clinical trial. conspiracy to suppress ANPs (Gorski 2013c). Burzynski’s science is stagnant now, how did it reach this stage? The answer to this question began nearly thirty-eight years ago. in oncology and no experience in clinical trial design, Burzynski judged himself to be uniquely qualified to be principal investigator of such a trial. academia), and Burzynski did not want to follow Ungar to Knoxville because he was afraid that the University of Tennessee would impose the same condition. toward scientific medicine and ethics, an attitude that appears not to have changed appreciably since then. were not shipped across state lines (Merola 2010). some of those early ANP batches. failure to publish is not surprising given the origin of these trials, as we will soon see. was the prosecution brought against Burzynski by the FDA during the 1990s that spawned the oft-touted “six dozen” clinical trials. Here’s how it happened. was contingent upon his administering his drugs exclusively through FDA-approved clinical trials (Antineoplaston Anomaly 1998). disease. It is almost always the case that clinical trials treat one disease. type of cancer the clinic had treated and everything Burzynski wanted to treat in the future. Burzynski’s acquittal. Since then, Burzynski has practiced (mostly) untroubled by the law, other than intermittent FDA inspections and warning letters. reviews, approving research without determining whether the risks were reasonable compared to potential benefits, and conflict of interest of IRB members. For example, its chair is an old Burzynski crony from Baylor and the current chair of the board of directors of the BRI, Carlton F. Hazlewood. clinical trial. It is, however, not illegal. assassins,” while describing the patients who complain about him thusly: “We see patients from various walks of life. We see great people. We see crooks. records that the FDA directors on site had examined (Szabo 2013b). to their elected officials to pressure the FDA to allow them to receive ANPs under a compassionate use protocol. 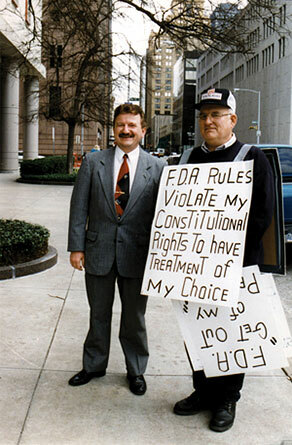 complaint in December 2013 charging Burzynski with advertising drugs that are not FDA-approved. But What about the ‘Miracles’? followed up on these four patients and found that two of the four had died and a third had recurred, while the fourth had originally had a good prognosis. Personalized Cancer Therapy, a claim so overblown as to defy belief. Clinic uses this company’s products now. validated in clinical trials; and (4) it has not yet been shown that using the Caris test or similar tests to direct therapy results in prolonged survival. targeted agents combined in untested combinations. American Cancer Society. 2012. Antineoplaston Therapy. December 7. Available at http://www.cancer.org/treatment/treatmentsandsideeffects/complementaryandalternativemedicine/pharmacologicalandbiologicaltreatment/antineoplaston-therapy. Brandes, A.A., et al. 2008. Disease progression or pseudoprogression after concomitant radiochemotherapy treatment: Pitfalls in neuro­oncology. Neurological Oncology 10(3): 361–67. Buckner, J.C., et al. 1999. Phase II study of antineoplastons A10 (NSC 648539) and AS2-1 (NSC 620261) in patients with recurrent glioma. Mayo Clinic Proceedings 74(2): 137–45. Burzynski, S.R., 1976. Antineoplastons: Biochemical defense against cancer. Physiological Chemistry and Physics 8(3): 275–79. Burzynski, S.R., et al. 1977. Antineoplaston A in cancer therapy. (I). Physiological Chemistry and Physics 9(6): 485–500. report. Drugs R D 4(2): 91–101. report. Drugs R D 5(6): 315–26. Chang, S.M., et al. 1999. Phase II study of phenylacetate in patients with recurrent malignant glioma: A North American Brain Tumor Consortium report. Journal of Clinical Oncology 17(3): 984–90. Most Promising Cancer Treatment and the Government’s Campaign to Squelch It. 4th Edition ed. : Lexikos Books. FDA Form 483, FDA Inspection. 2013. (1/22/2013 to 2/7/2013). Available at http://skepticalhumanities.files.wordpress.com/2013/03/burzynskiform483feb2013.pdf. Can he do what he claims for cancer? ———. 2013b. Eric Merola and Stanislaw Burzynski’s secret weapon against The Skeptics™: Fabio Lanzoni (Part 2). Respectful Insolence (May 8). ———. 2013c. A study of antineoplastons fails to be published. Stanislaw Burzyn­ski’s propagandist Eric Merola whines about it. News at 11. Respectful Insolence (August 8). Available at http://scienceblogs.com/insolence/2013/08/12/antineoplaston-fails-publication/. Green, S. 1992. ‘Antineoplastons’. An unproved cancer therapy. Journal of the American Medical Association 267(21): 2924–28. Jaffe, R.A. 2008. The Burzynski wars. In Galileo’s Lawyer: Courtroom Battles in Alternative Health, Complementary Medicine, and Experimental Treatments. Thumbs UP Press: Houston, p.
Apr. 27, 2013 Cancer Is Serious Business | Eric Merola – YouTube. Burzynski The Movie YouTube Channel 2013. Available at http://www.youtube.com/watch?v=BuNr06BuXkk&feature=share&list=UULiRbQrj-gBow6VdLajWxaw. Null, G. 1979. The suppression of cancer cures. Penthouse (October): 90–96. Setlow, B. 1997. Georges Ungar and memory transfer. Journal of the History of Neuroscience 6(2): 181–92. Smith, M.E.G. 1992. The Burzynski controversy in the United-States and in Canada—A comparative case-study in the sociology of alternative medicine. Canadian Journal of Sociology-Cahiers Canadiens De Sociologie 17(2): 133–160. Somers, S., 2009. Dr. Stanislaw Burzynski. In Knockout: Interviews With Doctors Who Are Curing Cancer and How to Prevent Getting It in the First Place. Crown Publishing: New York, pp. 59–86. Stuplich, M., et al. 2012. Late and prolonged pseudoprogression in glioblastoma after treatment with lomustine and temozolomide. Journal of Clinical Oncology 30(21): e180–83. Szabo, Liz. 2013a. Doctor accused of selling false hope to families. USA Today (November 15). U.S. Food and Drug Administration. 2013a. Investigational New Drug (IND) Application. 04/25/2013 . More from this issue of Skeptical Inquirer: “Skeptic Activists Fighting for Burzynski’s Cancer Patients” by Robert Blaskiewicz. David H. Gorski, MD, PhD, is in the Departments of Surgery and Oncology, Wayne State University School of Medicine, and the Barbara Ann Karmanos Cancer Institute, Detroit, Michigan. E-mail: gorskid@med.wayne.edu.